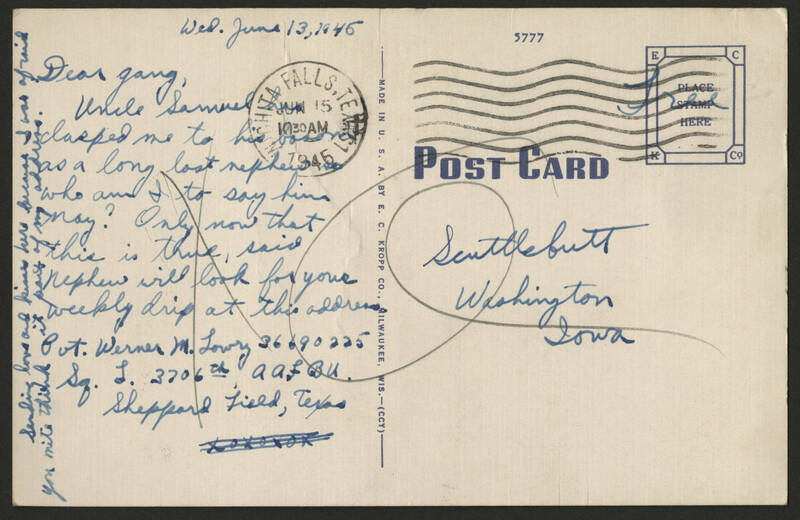 Wed. June 13, 1946 Dear gang, Uncle Samuel has clasped me to his bosom as a long lost nephew so who am I to say him nay? Only now that this is true, said nephew will look for your weekly drip at this address Pvt. Werner M. Lowry 36690225 Sq. L. 3706th AAFBU. Sheppard Field, Texas (Along margin)Sending love and kisses here because I was afraid you mite think it part of my address.